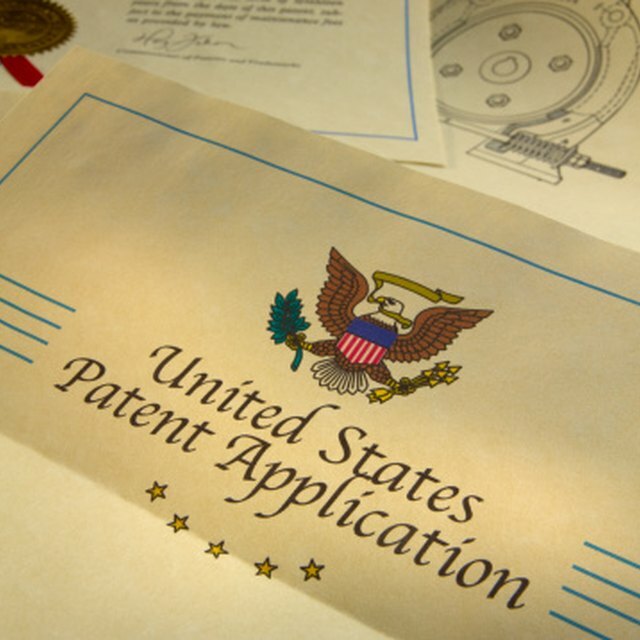 Applying for a patent can be an intimidating process. Lots of legal jargon and paperwork can be daunting, but applying for a patent is an excellent way to protect your Intellectual Property. Sometimes people think they need a patent but they actually need a trademark, a copyright or a service mark, and in some cases, they need all three. Knowing what you need before you get started will help make the whole process much easier for you. Why Do You Need a Patent? Patents are useful to inventors who have developed or created something that they're hoping to bring to market and want to make sure that their idea cannot be infringed upon by any other inventors. Getting a patent for your invention before bringing it to market ensures that the inventor and his team can spend time developing design plans, marketing plans and distribution strategy without worrying that a competitor might bring their invention to market first. In addition, a patent is a saleable good, meaning you can sell the patent if you decide to license your product or invention to another company. This is another reason to invest in a patent. Patents do have flaws, though. You will be the only one guarding your patent, so if there are people who attempt to infringe on your patent, you may have to take them to court, which can be a costly and time-consuming process. How Do You File For a Patent? Utility Patents are granted to anyone who invents or discovers a new machine, process, article of manufacture, composition of matter or an improvement on any of these. Design Patents are granted to anyone inventing an original design for an article of manufacture. Plant Patents are granted to persons who have invented, discovered or reproduced asexually a distinct variety of plant. Once you have assessed that you do need a patent for your invention, you can move on to the first step of the patent process, which is to file a patent claim with the U.S. Patent and Trademark Office. There are two kinds of patent applications that you can file: Provisional Patent Application, or PPA, which does not give you a full patent but allows you to apply for the status of "patent pending." This sort of patent lets competitors know that a similar invention or product is already on it's way to a full patent which could discourage infringement. This option is significantly cheaper and requires less paperwork than the Regular Patent Application or RPA. The RPA is what you will fill out when you have assessed that your product or invention is commercially viable and that there are no competing patents yet in existence. Once your patent application is filled out, it will be assigned to a patent inspector who will go through the details of your invention making sure that it meets the necessary requirements. The patent inspector will also go through your application to make sure that the language used is in compliance with the regulations for patent approval. This process can take anywhere from one to three years. Some people hire a patent attorney to help guide them through the patent application in the hopes of expediting the process. While an attorney may be helpful in this scenario, they are not required. It is possible to fill out the patent independently, either in hard copy or online. The cost of filing a PPA is approximately $455. The cost of obtaining an RPA patent is approximately $1,500. Both of these fees are charged by the patent office and do not take into account any lawyers' fees or the cost of professionally prepared patent drawings that you may need for the patent application.